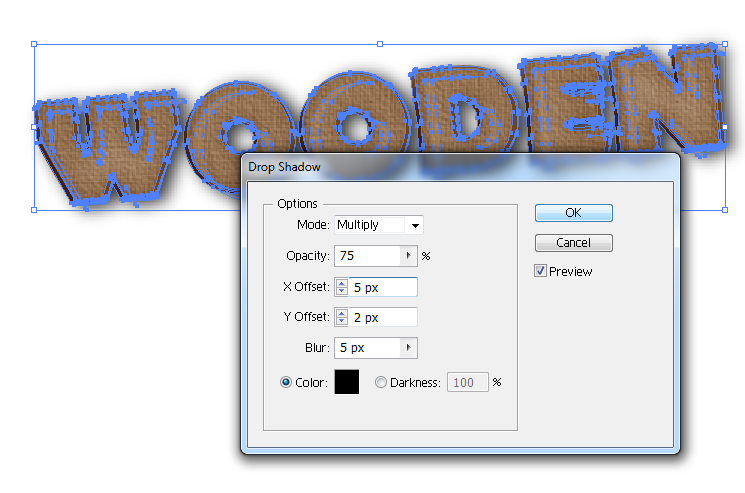 Creating wood textured text effects in Adobe Photoshop is mighty easy when following these instructions. 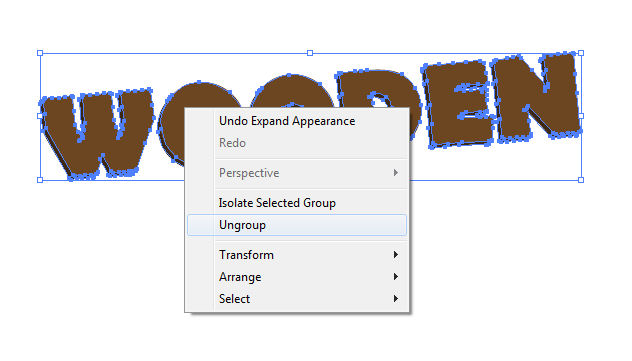 Creating wood textured text effects in Adobe Photoshop is mighty easy, but some people tend to be discouraged when they want to do it in Vector using Adobe Illustrator. In this tutorial, we will prove to you though that it is not that hard to create a wood textured effect in vector. Just follow the instructions below and you should be able to incorporate wood textures on your print catalogs' or themed flyers' designs. Just read through carefully and learn. 1. First open a new document with the size or dimensions that you need. 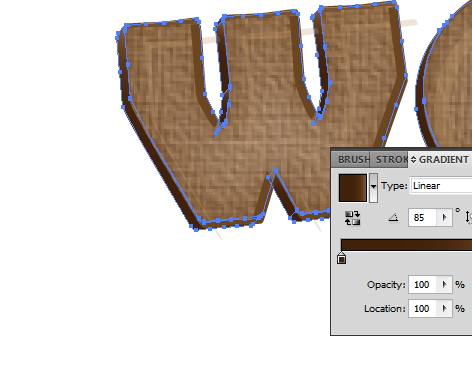 Once the Art Board is open, use the Type Tool (Shortcut T) and just type in the title that you need for the wood textured effect. 2. Fill it with a color that you like. 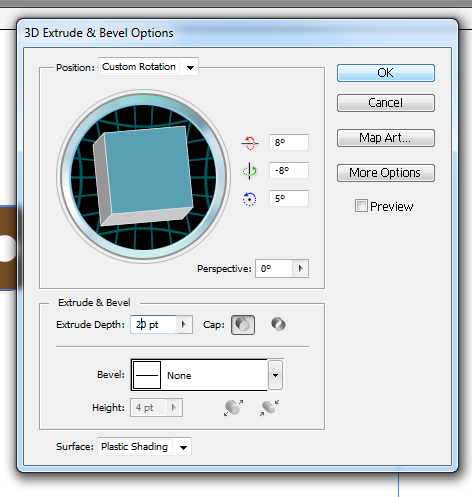 Afterwards, go to Effects ->3D -> Extrude and Bevel. Adjust the angle so that it looks a bit like a block on a table. Use the cube controls to achieve this. Also adjust the extrude depth to around 20pt. Press OK once done. 3. Afterwards, go to Object -> Expand Appearance so that you can manipulate all the shape elements, including the areas that were extruded/expanded. 4. Now, select everything and right click on them. Choose Ungroup in the context menu to ungroup everything. 5. 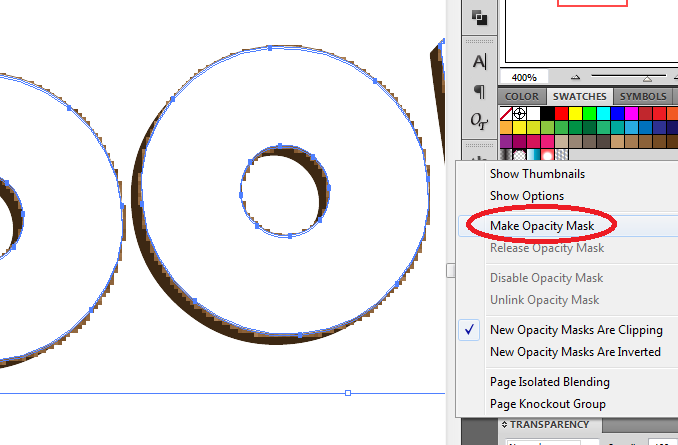 Then, use the Magic Wand tool (Shortcut W) and then click on the FACE of your text font. You will see that all the font faces will be selected because they are of the same color. Right click on them and select the option to “Group”. 6. 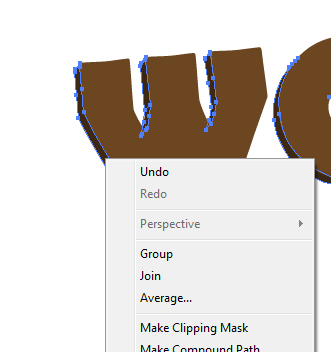 Repeat the process for the Bottom extruded layers of the text, as well as the sides of the text. Each of those should have a slightly different color so the magic wand tool should be useful. 7. Now copy the top font faces by just using the keyboard shortcuts CTRL+C and CTRL+V. Do this three times. We will use the other two later. 8. Add a light brown color to this copy and place it in front of our original text. 9. 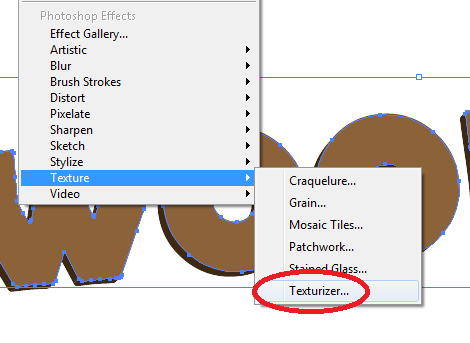 Go to Effects -> Texture ->Texturizer. 10. 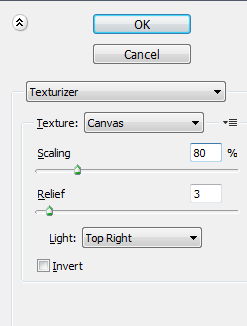 Apply a canvass texture, with 80% scaling, 3 value relief, and the light should be set for the right. 11. You will then see the wood texture appear, but you have some pixels on the outside edge. Remove this by using our other duplicate. 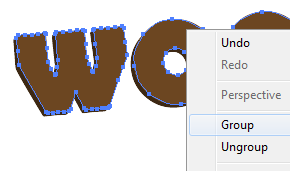 Simply place it over the textured text shapes, color it white, then go to the transparency panel. 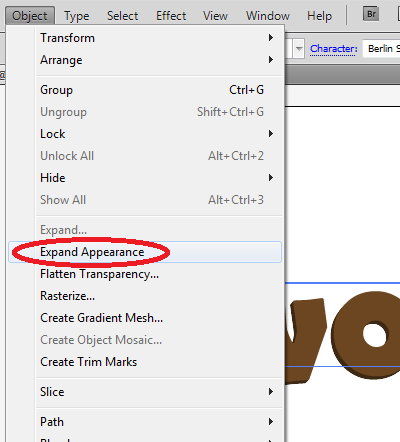 Click on its menu at the top right and select the option to make an Opacity Mask. 13. Afterward, expand the appearance by going to Object -> Expand Appearance. 14. Ungroup the shape and then click only on the white spots. Delete the white spots, and then reduce the opacity of the layer to around 30%. Use the multiply blending mode. 15. Now we have the basic front face texture and shape. 16. To add accents to this duplicate the front face again to times. Use a light brown fill for the first duplicate. The color of the second duplicate does not matter, but move it by selecting it and tapping the down arrow key once, and the right arrow key twice. 17. Then, go to the pathfinder tool and then select Minus front. This will leave us only the lighter brown shape accents. 18. Duplicate the process again by creating two other copies of the original text. This time, use a darker brown color for the first duplicate and tap the arrow keys for the second duplicate Up once, and left twice. 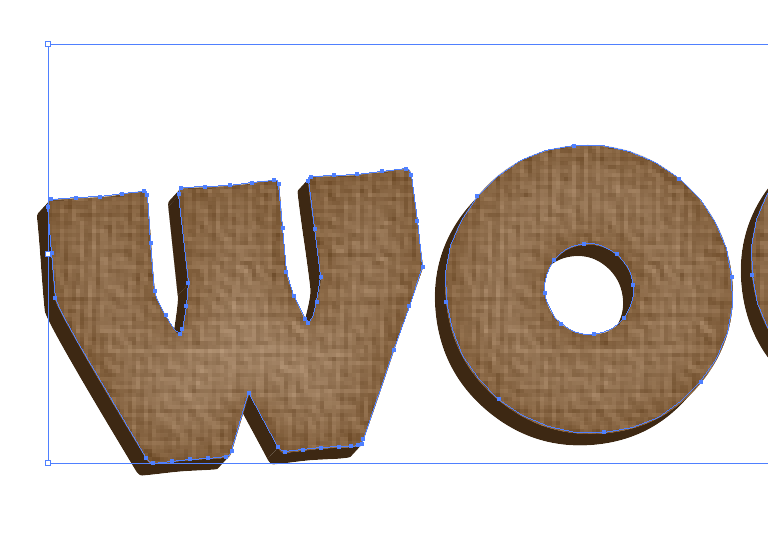 This will add the darker brown edges for our font face. 19. That should give you a more real looking top font face. 20. 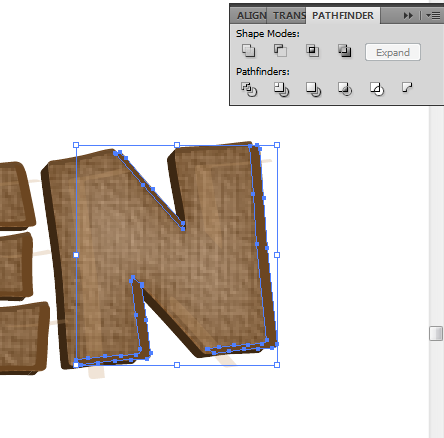 Now just add slightly darker brown color gradients for the underside of the text. We grouped these earlier, so just select them and adjust the gradient color. Do this for the sides of your text as well, but use a slightly different color combination for the gradient. 21. Finally, select ALL your shapes and group them into one group by right clicking on them and then selecting group. 22. 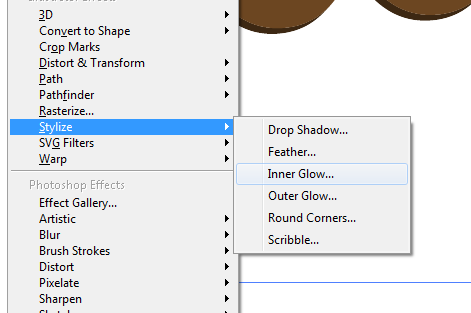 Then to Effects -> Stylize -> Drop Shadow and add a drop shadow effect to your text. 23. 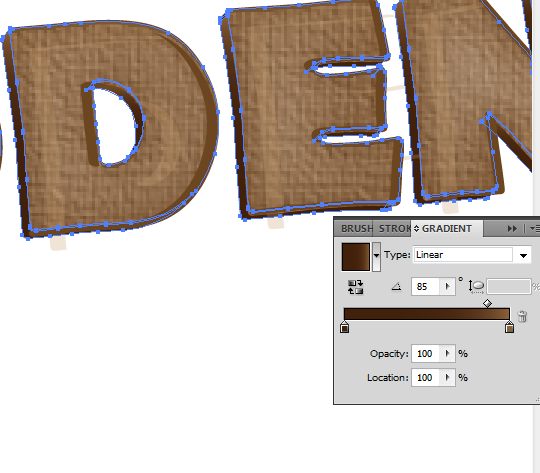 That should help you see the solid looking wood textured text for your designs! Now you know how to create these effects all in Vector form. PrintPlace.com can take your business to new heights! Capitalize on high quality catalog printing at low prices every day. Shop our catalogs and see for yourself.